Microsoft has announced new AI and mixed-reality applications for its Dynamics 365 online business software, putting to use its augmented-reality goggles HoloLens for businesses. The additions to its cloud-based software came two years after HoloLens was launched. 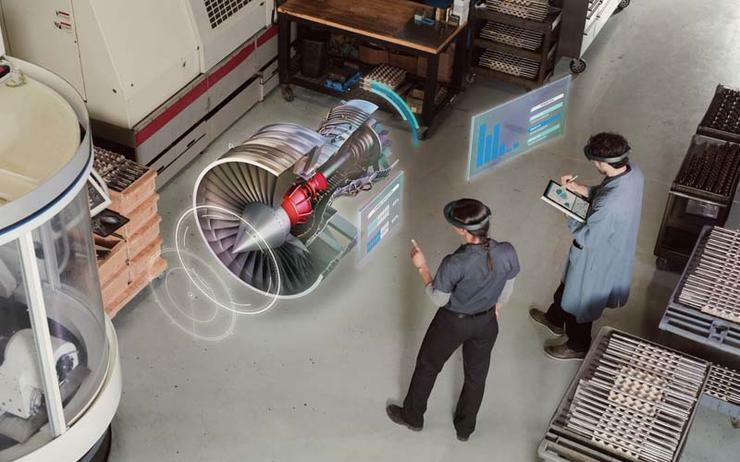 The new AI applications, Dynamics 365 Layout and Dynamics 365 Remote Assistant, help connect live remote colleagues with the use of HoloLens, Microsoft said in a blog. Citing oil company Chevron's use of the applications, Microsoft said they help to remotely collaborate with and assist first-line workers and remote experts, reducing travel time. "Previously it was required to fly in an inspector from Houston to a facility in Singapore once a month to inspect equipment. Now it has in-time inspection using Dynamics 365 Remote Assist and can identify issues or provide approvals immediately," Microsoft said. Microsoft also announced the launch of Dynamics 365 AI for sales, customer service and market insights. Dynamics 365, which posted a 61 per cent increase when Microsoft reported its quarterly results in July, competes with San Francisco-based Salesforce's flagship Sales Cloud. The new AI applications will be released next month, the company said.